Previously Ranked #1 1B/OF Cody Bellinger – ROY Cody Bellinger has completely gone a tear at a historic homer happy rate. The guy will unanimously win ROY and should get MVP votes. Previously ranked #2 RHP Jose De Leon – De Leon was traded for the steady yet under-performing 2B Logan Forsythe. Thankfully the Chris Taylor emergence in LF has made up for the offensive shortcomings Mr. Forsythe. Previously ranked #6 2B/OF Willie Calhoun – Calhoun is still raking and still doesn’t have a position. Hence, he was traded for World Series Game 2 starter YUUUUUUUUUUU Darvish. Previously ranked #15 C/2B Austin Barnes – Barnes has graduated and become a Top 10 catcher relative to innings played when combining offensive and defensive production (seriously look it up). Previously ranked #26 LHP Grant Dayton – With exactly 50 MLB IP to the date, he is no longer eligible. Injuries have ravaged his season. Previously ranked #36 SS Brendon Davis – Went to Texas as the always loved “big body with power upside” piece in the Darvish deal. 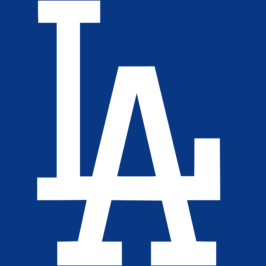 Without further ado, your current Top 50 Los Angeles Dodgers Prospects! Buehler is known to have some of the best “stuff” in the minor leagues and it continues to pay dividends. He’s climbed through the system at a rapid rate, making it all the way to AAA ball recently. In the past weeks, he has been moved to the bullpen in hopes of converting his raw talent to an October role with the Dodgers (see David Price, Adam Wainwright from the past). He’s a future All-Star starting pitcher in the making. Verdugo was in close consideration for the top spot with Buehler. Verdugo offers a more consistent game with a high floor, as opposed to Buehler’s extremely high ceiling. He does everything well including potential gold glove defense to go along with his elite on base skills (recently had 45 game on base streak snapped). There’s a reason the Dodgers have made him untouchable in trades up until this point. I wouldn’t say Alvarez has regressed this season, more so that he just hasn’t taken that leap that some may have hoped for. He is still young and a bit wild. However, his stuff plays and he has one of the best fastballs in the minor ranks, to go along with a wipeout slider. Plus he’s still striking out a batter per inning. Stewart is clinging onto his Prospects1500 prospect status with 48.2 IP in his career. I still think this guy is a solid #3 workhorse starter. The Dodgers are so deep with starting pitching, that he has been moved to the pen this year. While he’s been great in that role, his upside is as a starter. White continues to impress since being drafted in the 2nd round in 2016. He has advanced up to AA where he has looked good in his limited appearances. He continues to miss bats with over a K an inning and a .168 BAA in 58 IP. The Dodger brass could not have been more excited with Kendall’s fall in the 2017 draft all the way to the 23rd pick. He does have some swing and miss in his game, but his tools are off the charts. He has top notch speed, good power and plays great defense. He is one of the main Dodger prospects to watch from a fantasy baseball perspective. Diaz got off to a slow start in 2017, but has been on fire of late. He earned a promotion to AA and should continue to improve. He has recently shown more power and still gets on base at a decent rate (.343 OBP) for a 20 year old. Ruiz is one of the biggest risers on the Top 50 Dodger prospect rankings. I knew Ruiz had power potential, but I did not think it would advance so quickly in his age 19 season. With 29 XBH already, to go along with a .374 OBP, Ruiz is turning some heads. His advanced approach at the plate along with his defensive potential has allowed him to gain some national attention amongst well known executives in the industry. Another early riser in the Dodgers system is Santana, who has had a great season thus far. Santana has earned his promotion to AA with electric arm and good control. I’d imagine he may be a nice trade piece at some point as the Dodgers are loaded with arms and Santana begins the second tier. Heredia was absolutely outstanding in Rookie ball this season before recently promoting to Low A ball. He has loads of potential with his large frame and early success at a young age. You can’t help but notice the .451 OBP this season, even in a small sample size. DJ skipped Low A ball and advanced to High A ball to start the year. Well, he hasn’t looked back as he already has 49 XBH (including 22 HR’s) to go along with a .389 OBP. He still strikes out a ton (about a third of the time), but is that so bad in this day in age of baseball. If he can get that K rate down to about 25%, he has a chance to be a solid masher in the league. Sheffield is another young power arm in the Dodger system who has the ability to be a quality MLB starting pitcher. His control has not advanced as much as some would like to see so far this season. He still has great stuff and will need to improve on his command to stop his slide in the rankings. I suspect he ends up as a high leverage reliever, which isn’t the worse career path these days. The Dodgers selected Cooper in the 2nd round of the 2017 draft and it’s easy to see why. The guy has the ideal frame for an MLB starting pitcher at 6’5″ and a lean 210 pounds. He has been through TJ surgery already (a Dodger trend), but continues to hit the upper 90’s with his fastball. Solid innings eating #3 starter in the making. Rios continues to surprise everyone, including me. He just continues to hit at every level he advances to. He has had great success at every level, hitting for average and getting on base at above average rates. I keep waiting for him to come back to earth, but maybe this is who he is. A recent hot streak has been back on the Gavin Lux bandwagon. He has underperformed in his short pro career to this point, but he’s still very young. He needs to ride this recent hot streak wave and sustain the momentum. May’s early success earned him a start in the Midwest League All-Star game this season. He has had a strong year thus far, earning him a slight bump in the rankings. He is still striking out about a batter per inning to go along with a nice low BB rate for a young pitcher. Oaks is controlled, steady, dependable and yet a bit boring. He doesn’t do anything flashy, but he limits hard contact and misses enough bats to be a dependable back end starter in the major leagues. Smith has disappointed me a bit this season, but he still shows enough to make me believe he will be a starting MLB catcher one day. I don’t think he will be an All-Star by any means, but he should be a solid contributor in the show. A mechanical adjustment contributed to a nice velocity increase this season for Ferguson. He has shot up the rankings and is currently the top LH starter in the Dodgers system. His early numbers in 2017 are impressive and he should continue to improve with increased command. Estevez hasn’t really done much to warrant a rise or fall in the rankings thus far. He kind of is who we all thought he was. Omar is a steady defender, with good bat to ball skills and gap to gap power. I was the high guy on Cody Thomas preseason, so naturally at midseason I still am. I think the guy has so much athletic ability, to go with his massive power, that he has a good shot to produce in the big leagues. Isabel continues to show he has one elite tool and that’s his power. 24 jacks already this season has allowed him to rise in the rankings. He has a lot of swing and miss in his game, but again, is that so bad? What a great story Kyle Farmer has been this season. From boring non-prospect, to hitting a walk-off double for the Dodgers in his first big league at bat. Farmer made adjustments to his swing this past offseason and it’s paying off. If the Dodgers ever give Ravin a shot to pitch consistently in the big leagues, maybe he’ll reach his potential as a high leverage power reliever. Unfortunately, the team is so deep, I’m not sure he will ever see a fair shot in LA. Santana has burst onto the prospect this season after receiving a promotion to A ball after a hot start in the rookie league. He’s showing more athletic ability than anything at this point and must improve on pitch selection. 9 HR’s to go along with a .431 OBP is impressive, even in a small sample size, nonetheless. Rhame has had a solid season thus far, improving on his control. He should be a nice 7th or 8th inning guy with his 98 MPH fastball once he gets a shot. The best possible thing the Dodgers could have done for Sierra and the organization is convert him to a reliever, so naturally that’s what they did. His stuff has ticked up and he is striking guys out at a nice rate. We should see him sometime in 2018 and maybe even September of this year. Robinson has surprised many, including myself, with his improved power numbers. By no means is he going to be even a 15 HR guy in the pros, but he is showing enough to be a big league regular at some point. The speed and defense will play well for him. Raley, drafted in the 7th round of 2016, has shown nice on base skills since making his debut. This season, the power numbers are starting to show. He could see himself being a steady contributor to a big league team if he continues on this path. .276/.340/.382, with good speed and defense. An ugly .240/.276/.461 line, but I still believe in the tools. Very similar to Mieses, showing a ton of power potential. Struggles to make consistent contact. Injury has limited him to only 12 IP this season, not ideal. Slow start, but heating up with 5 HR’s in his last 10 games. Love his athletic potential. Still walking too many, but can’t look past that .146 BAA. Massive struggles after promotion to AAA, but AA looked great (96 K’s/81 IP, .165 BAA, .96 WHIP). Could be an MLB reliever. Hasn’t impressed in a short pro career, but he fits the Austin Barnes mold. Older for a prospect after defecting from Cuba, but putting together a nice season. Good power numbers, while showing ability to get on base. Seemingly came out of nowhere when he showed up and had a nice MLB spring training with the big club. Recently came back and continuing to rake. He has bounced around in his career a bit, but you can’t ignore his 160 K’s in 120 IP in AAA. Another SS acquired from Seattle. Already showing increase in OBP and power numbers after joining Dodgers organization. STILL struggling to make contact, but I still believe in the tools….for now. STILL struggling as a starting pitcher. Dodgers need to move him to the bullpen to see if he has anything left. It feels like he’s the next Kyle Farmer (as a AAAA type player). He may get a shot at some point, but probably not. He could be a useful utility man in the MLB. He has regressed a bit this season. Not the most exciting player, but he’s the type of guy that is almost sure to get a shot on an MLB roster somewhere. Great glove, good speed, but will he ever hit enough to be a major contributor?